No more rushing around the airport. 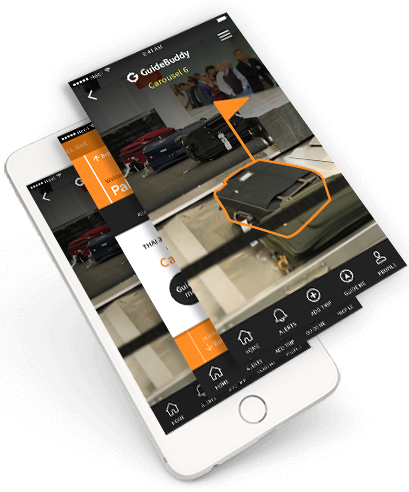 Guide Buddy will get you to your gate, to retailers, to your luggage and to your final destination, reducing stress and saving you time. Easily import all of your itinerary by simply forwarding your confirmation email to the app. Guide buddy pushes reminders to you to keep you in the know and in control of your journey. Guides you to the facilities in the airport quickly and easily. 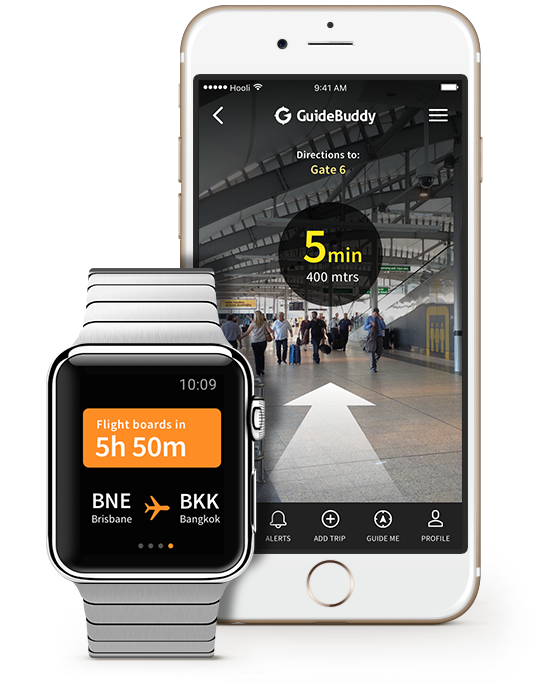 Guide Buddy keeps your complete itinerary at your fingertips and guides you to what you need when you need it. Saving you time and ensuring your journey is stress free. Just forward your email confirmation from your airline, hotel or car rental to mytrip@guidebuddy.com.au and your itinerary will automatically be imported and all your travel plans will be available in one place. When you arrive at the airport you are sent reminders to ensure you are not late for your flight and are guided to your gate using either 3D maps or Augmented Reality. And finally, when you arrive at your destination you are notified where your luggage is, making your trip stress free and help keep you in control. Drop us a line for more information. We will get back to you within 24 hours. Website by 2 Dam Creative.